The story starts in 1956 near Arles, in the heart of Provence, on a family property handed down for nearly two centuries. After a devastating frost that destroyed nearly all the olive trees in the region, my grandfather, Jean Bélorgey, who was keen to perpetuate the tradition, decided to prune the olive trees extensively and to plant new ones. In 1963, together with some friends, he acquired a mill to turn the olives into oil and to prepare table olives. 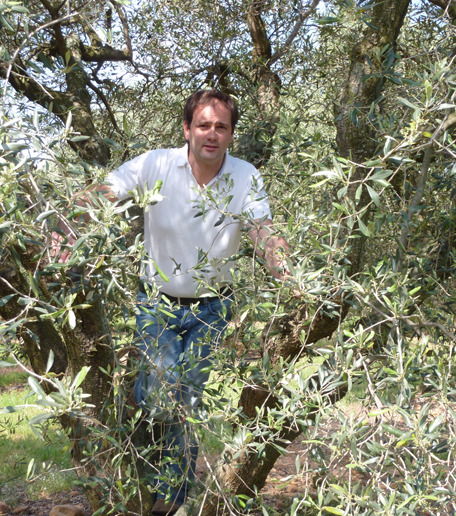 My father, Marc Bélorgey, continued the development of the family olive grove since 1992 and took part in the plan to revive olive growing in France. French olive growing therefore had to find a new boost to develop. In 2002, the circumstances of life led me to take over the management of the estate well ahead of schedule. An engineer by training, working for a bank in Luxembourg, I started sharing my time between my job in finance and managing the family farm. The following year, after long and careful thought, I decided to go back to my roots (my paternal grandmother is from Arles) and to take up residence in the estate and devote myself to it fully. When I was a toddler, I would spend my holidays getting on tractors, climbing on olive trees to look for cicadas, learning to recognise the different varieties of olives with my grandfather, and gathering them on All Saints’ Day. I acquired unique know-how with passion and humility. So every year, in November, olive oil was extracted cold immediately from the olives, solely by mechanical means. A “No sooner picked, no sooner pressed” approach delivers a veritable nectar, pure fruit juice without additives or preservatives. As we say with enthusiasm: “Olive oil “La Lieutenante” is a natural product that combines health with pleasure”. The year 2010 was a turning point. Backed by my wife, Virginie, I decided to pass a new milestone and to become an “olive farmer”. Henceforth the olive oil will bear the name of the estate: “La Lieutenante”. This new direction was rewarded as of the first year with a Gold and a silver Medal at the “Concours Général Agricole de Paris” [Paris Agriculture Fair]. Since then, other medals have been awarded in recognition of premium expertise and work. Reassured about having made the right choice, I am continuing my olive farming adventure, always mindful that “the olive tree repays a hundredfold the care we give it”.